The EU and the Western Balkans attempted to put an end to years of long-distance diplomacy and distrust on Thursday (17 May), with their first summit in 15 years - and commitments to get closer to each other. But the EU, while trying to fill a geopolitical gap and stabilise its doorstep at their Sofia summit, made it clear that EU accession was not yet at hand. In a joint declaration, EU leaders only pledged their "unequivocal support for the European perspective" of the region's six countries – Albania, Bosnia and Herzegovina, Serbia, Montenegro, Macedonia and Kosovo. In return, they asked their counterparts to keep EU integration as a "firm strategic choice", adding that "the credibility of these efforts depends on clear public communication." 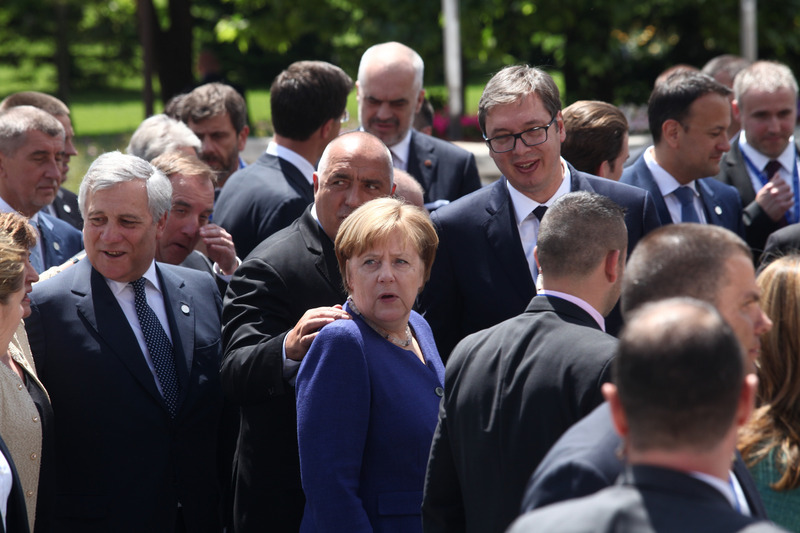 The EU's message was expected, but it left some Balkan leaders frustrated. "A perspective without accession talks is like a marriage where we do not talk. How will it happen?," Albanian prime minister Edi Rama told a group of journalists after the summit. Rama noted that the accession process "has become much more difficult and much less predictable" than in the past. "Of course we are not yet there," he said, referring to the progress demanded by the EU. "But to be there, we need these accession talks." "We need Europe not only to fight crime but to raise children for the future," he said. In recent months, in the wake of the migration crisis, and with Russia, China, Turkey or Arab Gulf countries increasingly active in the region, the EU realised that it had neglected the Western Balkans over the last decade. 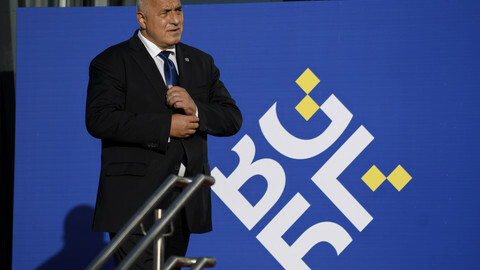 The bloc does not want "other geostrategic players to enter and enhance their quite high influence they already have" in the region, noted the Bulgarian prime minister Boyko Borisov. But faced with stalled reform processes, in particular in Kosovo and Bosnia and Herzegovina, the EU came with a list of projects to develop the region and to integrate it into the EU's economic, transport and energy networks. 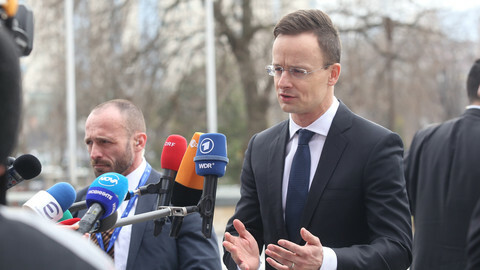 The package – called the connectivity agenda – came with strings attached, in particular more control over the six countries' reforms to improve the rule of law as well as the fight against corruption and organised crime. 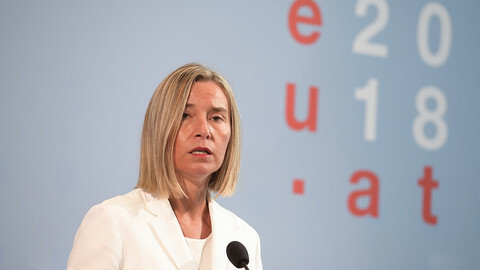 The two processed "should go in parallel," Bulgarian EU minister Lylyana Pavlova told EUobserver. "But we should not block the projects, if they delay the reforms. This would demotivate them and this is exactly what we don't want." The EU, which represents 73 percent of the region's trade and where over 72 percent of foreign investment comes from, intends to use the projects to stabilise the region. "It's not only a carrot and a stick. It's a commitment, even with a stick," an EU source told EUobserver. "It is not a change of strategy, it's a renewal of the strategy we had 10 years ago," he said. Earlier this year, the European Commission proposed accession by 2025 for the most advanced countries economically, and which have the strongest rule of law. At their June summit, EU leaders will have to decide whether to open formal negotiation with Albania and Macedonia. 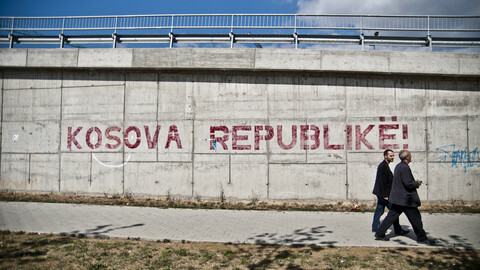 There was some optimism in Sofia over a possible agreement between Greece and the Former Republic of Macedonia over the name of the country. Greece's Alexis Tsipras and Macedonia's Zoran Zaev both said after a bilateral meeting that they believed an deal was possible next month, but that they still needed to clear some issues and convince political forces at home. 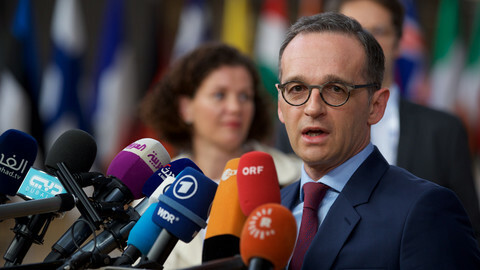 If the 25-year old dispute was settled, "no one would be able to say no" to accession talks, the EU source said. But several countries have already warned that they would seek guarantees before agreeing to the accession process. "There will be no new negotiations without conditions," warned French president Emmanuel Macron, referring to a better control over migration and trafficking. Macron also linked further enlargement to EU reform towards more integration and better decision taking. The EU, mindful of the wars from the 1990s and ongoing ethnic tensions, is trying to strike the right balance to keep the fragile momentum. "It is not our intention to spoil the process by suggesting something unrealistic like a 'fast-track'," European Council president Donald Tusk admitted, adding that he preferred to "discuss about substance, not dates." But he argued that there was "no plan B" for the six countries than the path towards the EU. 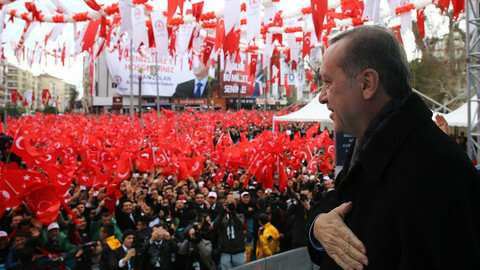 "The Western Balkans are an integral part of Europe and they belong to our community," he said. 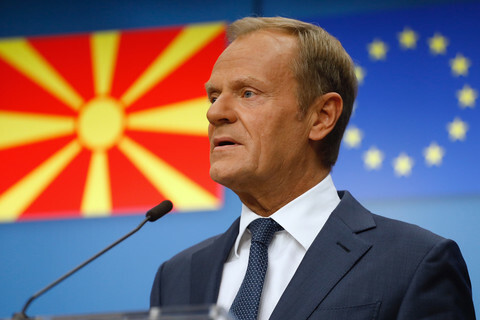 Tusk insisted that "the connectivity agenda is neither an alternative nor a substitute for enlargement. It is a way to use the time between today and tomorrow more effectively than before, so that our citizens and businesses are not waiting for all the benefits of EU integration." "We didn't pretend today that everything is clear and simple. This scepticism in Europe when it comes to enlargement is obvious," Tusk said. In the current situation, this was a point on which all could agree. "We don't have anymore the luxury to look for clarity. 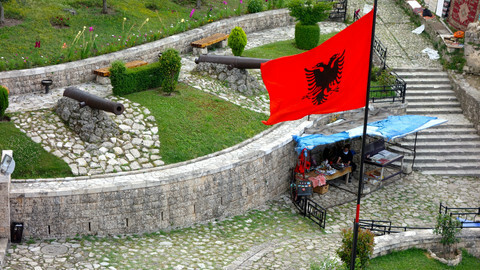 Now the main goal is to survive in the fog," Albania's Rama said.